A few weeks ago, my sister told me about a contest a grocery store chain was running. 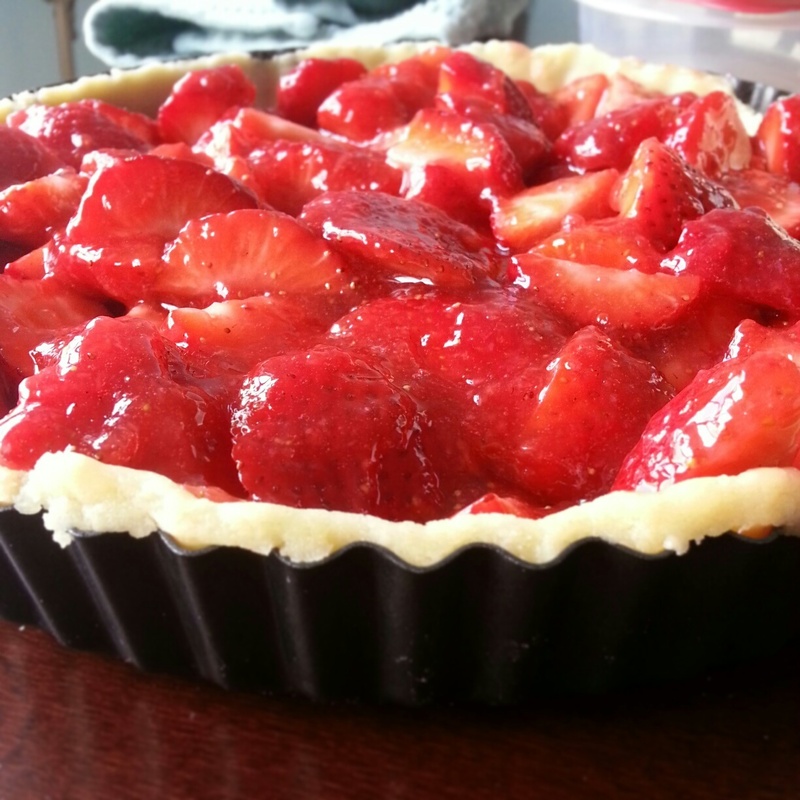 It was the start of strawberry season here in Florida (one of my favorite seasons, by far) and all you had to do was upload a picture and a recipe of something you made with strawberries to their contest page on Facebook. From there, the general public could vote on which recipe they liked best and the winner would get $500 in gift cards to that grocery store. I debated whether or not I’d actually enter the contest, because I am ridiculously competitive. Usually, if I don’t think I’m going to win, I’m not going to play because I hate losing that much. But Katie sent me the link to the other entries and after seeing what I was up against (one person just submitted a picture of blueberries with a spoonful of sugar on them. Blueberries. In a contest about strawberries. I mean, really?) I was pretty sure I could win. I didn’t win first place. And it’s taken me this long to get past the fact that my strawberry pie recipe, which takes a few hours to make, lost to two canned Pillsbury cinnamon rolls cut into hearts and baked with strawberries between them. Ok, so maybe I’m not 100% over that one yet. The good that came out of this, though, is this pie. Every person that’s tried it has enjoyed it and that’s more important to me than some silly contest. Though, the $500 would’ve been nice. 1. In a large food processor, pulse together flour, sugar and salt. Add in the butter and pulse until the mixture is crumbly. Add egg and egg yolks and combine until the mixture just begins to come together. 2. Knead dough on a lightly floured surface, shape into a disk and wrap tightly in plastic wrap for about an hour. 1. Place 1/3 of the strawberries into a food processor. Pulse until pureed. 2. In a medium pan, whisk together sugar, corn starch, gellatin, and salt. Using a heat-proof rubber spatula, mix in the strawberry puree and heat over medium-high heat. 3. Stir constantly, scraping down the sides and bottom of the pan, until the mixture turns dark and thickens (about 2-3 minutes after it starts boiling). 4. Remove from heat and place in a heat-proof bowl to cool. 5. Once cooled, take the remaining 2/3 hulled and halved strawberries and mix them into the cooked strawberry mixture, trying to coat every strawberry. 7. Bake at 350 degrees for 30-40 minutes (until crust is golden brown). 8. Chill in the refrigerator for 2 hours and serve.